Act now for capturing the precious moment! Living in hustle and bustle city, Hongkongers speed up their mind, thinking and paces of life inconsciously, and always forget the importance of stopping or even slowing down to enjoy their life. In order to advocate a positive attitude towards life, we organise “Capture The Moment” Instant Photo Charity Programme. 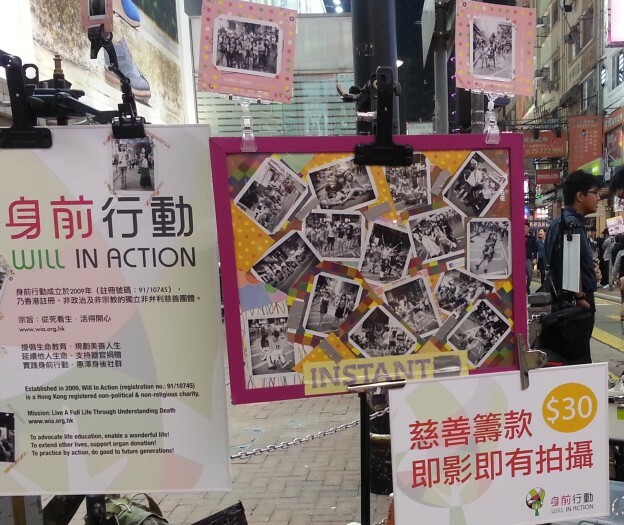 With the tremendous support of Mr TM Wong – the renowned collector who set a Guinness World Record for having the most instant cameras in the world, “Capture The Moment” Instant Photo Charity Programme was launched since December 2013. We plan to make the programme a routine one and aim at making many stops at various districts in Hong Kong. The funds after deduction of necessary expense will go to support the operation of Will In Action. This entry was posted in news on %A %B %e%q, %Y by admin. Copyright © 2013 WILL IN ACTION. All rights reserved.